Designed by the internationally renowned Brazilian architect Isay Weinfeld, this ravishing 952 sqm. 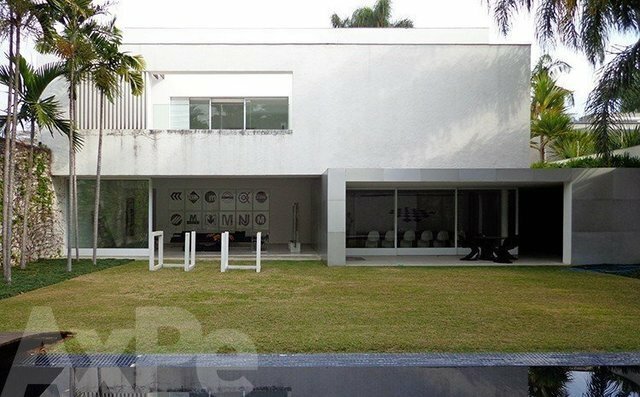 house is the perfect combinantion of sophistication and minimalism, a true example of the Brazilian contemporary residential architecture. Practical and functional, this home is the perfect fit for art collectors of for those who are looking for comfort away from all the visual pollution in a great metropole. Located in the charming, upscale neighborhood of Jardim Europa, this beautiful home is also close to museums, parks and shopping malls. Regarding the features, this one-of-a-kind home has clean and spacious environments, a library, an office, swimming pool, sauna and gym. The master suite features a closet, a hydro and terrace. The three stories house contains two other suites and a private elevator.